← Psst! I have a secret! Angel Kitty: “What Shall I have For Dinner?” . While waiting for my book to be ready, I decided to paint my muse, Angel Kitty. She loves to watch my husband Joe prepare dinner. 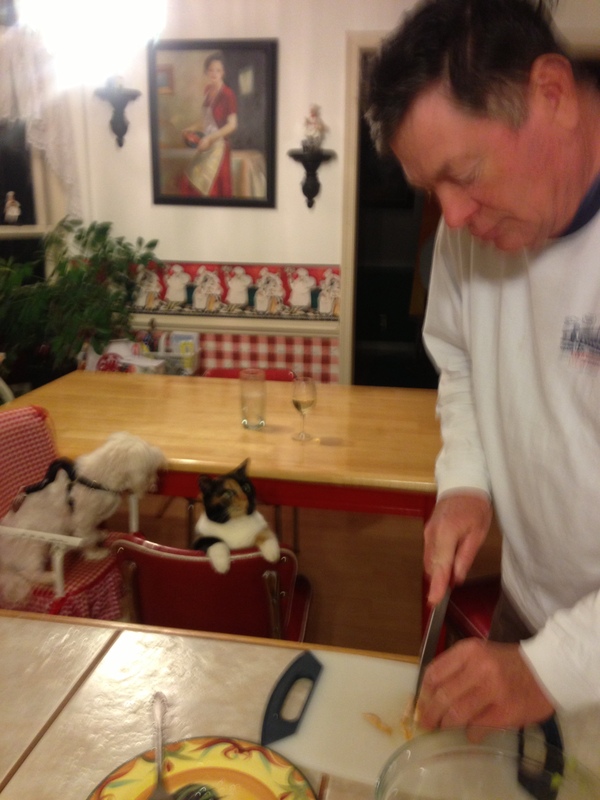 She is so focused watching every move he makes as he slices the vegetables and prepares the meat. If I could read her mind, I would say that she would love to be a chef one day. So with that thought, I decided to paint Angel Kitty in a chefs uniform trying to decide if she wants to eat fish for dinner or cook a mouse. 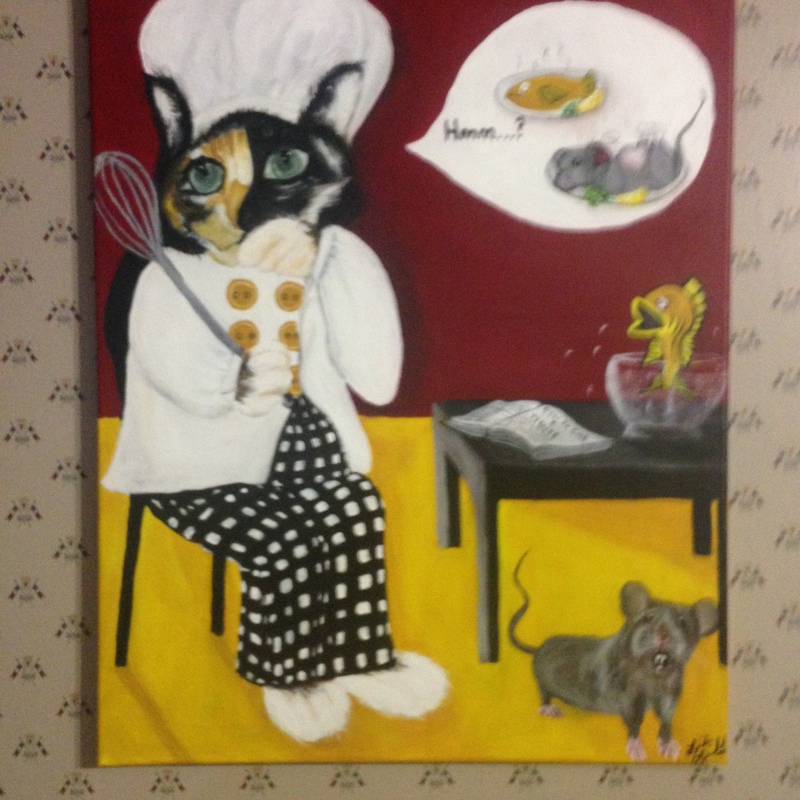 You can see in the painting that the mouse and the fish are a little concerned over what her choice will be. After finishing the painting I thought perhaps I might be on to something, such as another story for a book perhaps or maybe incorporate Angel Kitty into Pia Pucknuckers’ next adventure somehow. What do you think?